We are pleased to announce that RMS has been voted as the Top Private School in Brampton for the third consecutive year by the residents of Brampton and surrounding area consumers through Top Choice Magazine. During an open-ended nomination process that started in November 2016, consumers were asked to nominate their favourite private school for this prestigious mark of excellence award. RMS would like to extend a warm thank you to all families who supported us again this year. It is our privilege to teach such wonderful students and work with so many caring families. Toronto, On – December, 2016 – Rowntree Montessori Schools (RMS) is delighted to announce that we have been once again nominated for a Top Choice Award for Top Private School in the city of Brampton. Thank you to all who have taken the time to nominate us! We are here to set high standards within our category and within our community. Now, we need your help to WIN! Voting is now open and we would appreciate your contribution to help us reach the Top and retain the honour of being a Top Choice Award Winner. Top Choice Awards recognizes companies who go over the top to make sure their customers have the best experience possible. 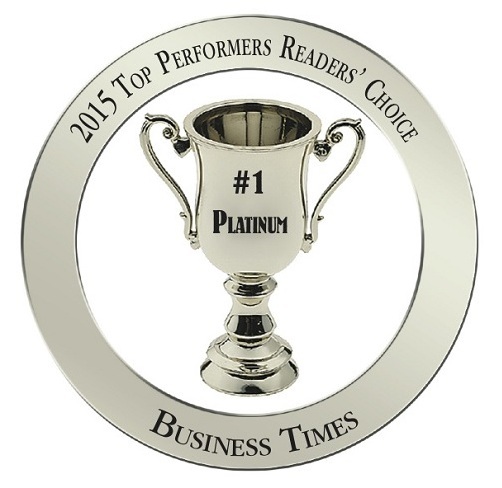 Top Choice Awards collects and reviews the opinions of thousands of customers annually. With over 740,000 votes casted in 2016 alone, The Top Choice Award is one of the largest endorsements in the North America business industry. It is an incredible achievement to be selected as an official nominee within the Top Choice Award survey. Needless to say, we would love to win this prestigious award again. We wouldn’t want anything more but to continue to serve you every day and provide the best customer experience possible. We need your help to spread the word! If you believe we are your Top Choice, why not help others discover us! Vote today by clicking on the following link TopChoiceAwards.com/ or click on the nominee badge above, filling in a short voting form and vote for us – your vote will automatically enter you into a draw for a chance to win a $3000 Dream Vacation to the destination of your choice! Voting ends January 6th, 2017 and can done either online, Facebook, Twitter or by Email. Thank you for your time and thank you for your VOTE! Go Rowntree Montessori Schools!! Since 1969, Rowntree Montessori Schools’ teachers pride themselves on their caring and stimulating approach towards teaching as the school’s motto “Nurturing Tomorrow’s Achievers” implies. Our small class sizes allow for teachers to develop a close working relationship with our students and their parents in a motivating and friendly atmosphere while addressing the individual learning needs and styles of each student. Conveniently located throughout Brampton, Rowntree Montessori Schools (RMS) offers five campuses, each one designed and structured to suit the needs of its students, from Pre-Kindergarten to Grade 8 inclusive. Rowntree Montessori Schools is the largest and longest serving Montessori school in Brampton as well as a GOLD Level member of the Ontario Federation of Independent Schools (OFIS). To learn more about Rowntree Montessori Schools (RMS), continue browsing our website and ideally drop by any of our 4 welcoming, friendly and family oriented campuses for a personal tour anytime Monday-Friday 9:00am-3:00pm. If you prefer, call to book an appointment for a personal tour anytime Monday-Friday 9:00am-3:00pm. Voted Top Private School for second consecutive year! We are thrilled and honoured to announce that Rowntree Montessori Schools (RMS) has been voted the Top Private School in the City of Brampton for the second consecutive year! After another 12 Months of surveying the public, Top Choice Awards (TCA), an International market research firm, has released the results of its 2016 Top Choice Awards Survey. Conducted annually since 2005, the survey accepts nominations from the public and allows them to vote in a variety of categories for their favorite businesses and professionals in their city based on quality, service, value and professionalism. This year’s survey was conducted in 26 cities across North America and received responses from over 880,000 participants. With over 3000 nominees in the running for the top spot in their category, the survey broke all records of popularity. Known as the business award “that’s social”, TCA ( #topchoiceawards ) tapped into its social media channels to help drive the survey, reaching targeted areas and a wide demographic audience. Nominating and voting happens via phone, email, mail and online outlets; spotlighting North America’s brightest and renowned businesses and professionals. “Every aspect of the survey is geared towards openness and share-ability. Every nominee in every category of each city is chosen by local people and social media has been a pivotal part of reaching and engaging consumers and nominees alike.” said Monica Couto, President of TCA. We, RMS, truly appreciate the recognition from the Brampton community and cannot express enough our gratitude to the citizens of Brampton who voted Rowntree Montessori Schools as the Top Private School in Brampton for the second consecutive year! 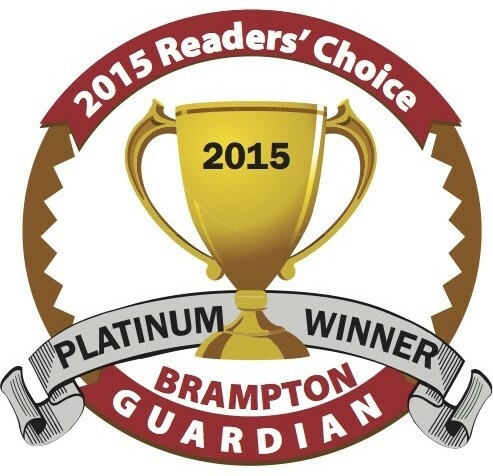 A GREAT BIG THANK-YOU, Brampton!!! We also THANK all of our wonderful families for the trust and faith you have placed in our Schools and for entrusting us for the past 47 years with your most cherished treasures, your children. Since 1969, Rowntree Montessori Schools’ teachers pride themselves on their caring and stimulating approach towards teaching as the school’s motto “Nurturing Tomorrow’s Achievers” implies. Our small class sizes allow for teachers to develop a close working relationship with our students and their parents in a motivating and friendly atmosphere while addressing the individual learning needs and styles of each student. Conveniently located throughout Brampton, Rowntree Montessori Schools (RMS) offers multiple campuses, each one designed and structured to suit the needs of its students, from Pre-Kindergarten (2.8 yrs) to Grade 8 inclusive. Rowntree Montessori Schools is the largest and longest serving Montessori school in Brampton as well as a GOLD Level member of the Ontario Federation of Independent Schools (OFIS). As was announced in December, Rowntree Montessori Schools (RMS) has once again been nominated for a Top Choice Award for Top Private School in the city of Brampton. Thank you to all who have taken the time to nominate us for a second consecutive year ! We are here to set high standards within our category and within our community. Now, we need your help to WIN! Voting is now open and we would appreciate your contribution to help us reach the Top and once again gain the title of a Top Choice Award Winner. Needless to say, we would love to win this prestigious award again. We wouldn’t want anything more but to continue to serve you every day and provide the best customer experience possible. 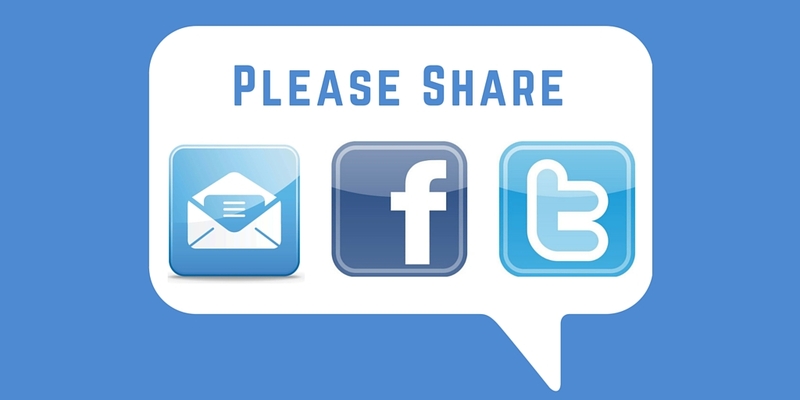 We need your help to spread the good word! If you believe we are your Top Choice, why not help others discover us! Voting ends TODAY so please vote by clicking on the following link TopChoiceAwards.com/ or on the nominee badge above, fill in a short voting form and vote for us – your vote will automatically enter you into a draw for a chance to win $3000! Voting Ends today and it is Available Online, Through Our Phone Centre and Via Email. Toronto, On – December, 2015 – Rowntree Montessori Schools (RMS) is delighted to announce that we have been nominated for a Top Choice Award for Top Private School in the city of Brampton. Thank you to all who have taken the time to nominate us! We are here to set high standards within our category and within our community. Needless to say, we would love to win this prestigious award again. We wouldn’t want anything more but to continue to serve you every day and provide the best customer experience possible. We need your help to spread the word! If you believe we are your Top Choice, why not help others discover us! Vote today by clicking on the following link TopChoiceAwards.com/ or click on the nominee badge above, fill in a short voting form and vote for us – your vote will automatically enter you into a draw for a chance to win $3000! RMS Parade Float wins Chairman’s Award! A very memorable Brampton Santa Claus parade. We are delighted to announce that Rowntree Montessori Schools’ (@RowntreeSchools) float was awarded the Chairman’s Award (1st place) for Best Float in the Brampton Board of Trade (BBoT) 2015 Santa Claus Parade. We thank the BBoT Santa Claus Parade (@BramptonSanta) co-chairman and judges for recognizing the devotion and meticulous detail that went into creating our ‘Christmas at the South Pole’ entry. Also, a HUGE THANK-YOU goes out to all those who took the time to vote for us as their Fan Favourites’ – we are so honoured to have also been voted in 1st place by the parade fans. The theme for this year’s spectacular RMS Santa Claus Parade Float was determined this past August, as staff and administrators gathered to begin the new school year. “Christmas at the South Pole” proved to be the winning idea, and the next several months were spent on weekly meetings to design and create the concept, characters, actions, costumes, and decorations. A South Pole hockey game, fishing derby, and fish fry over the open fires shared the upper deck with the snowmen, while the street was overflowing with penguins, some even breaking rank to give hugs to student spectators past and present. Let’s not forget the thousands of light bulbs to decorate every feature and character on the 53-foot float, as well as the fans blowing to keep up the inflatables and cooking fires! Add to all of this, the music and choreography mixed and performed by the dancing seals and penguins, (aka staff and students) and you have an unforgettable treat for the eyes, ears, and heart! Thanks so much to all members of the Rowntree community who came together to take “Christmas at the South Pole” from concept to reality! This was Rowntree Montessori Schools’ 11th year participating in the parade and we have been presented with a total of 10 awards for our parade entries over the years. Click on the link or the image below to see a short video posted by the Brampton Board of Trade of our float as it started on the parade route. Our sincere appreciation and thanks goes out once again to our sponsors Moore Brothers Transport, Long & McQuade, RONA and Canadian Tire for their support.